Water is a beautiful aesthetic feature in Central Park. Sometimes represented as vigorous and lively jets and fountains, and sometimes portrayed as calm, serene ponds and lakes, water is a stunning dynamic element in this urban scene. And one of the best representations of water, located near the entrance to the park, is the Pulitzer Fountain. The bronze sculpture in the middle represents abundance and comfort, and the lights that decorate the basin in the winter holidays are a source of festive delight. 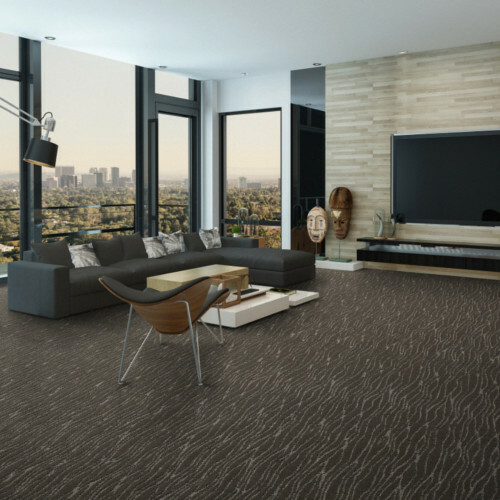 Now, Belgotex Floors introduces PULITZER, a tufted range of carpets made with strong, durable SDX yarn, creating a ripple in the commercial market. Inspired by the curl and curve patterns of water, PULITZER is a highly durable, easy to clean and luxuriously comfortable flooring solution, available in four contemporary colours. If you need a low maintenance, luxurious and modern look for your hospitality or other commercial environment, make some waves with the PULITZER range.